Holy Valley of Gwangi, Batman! 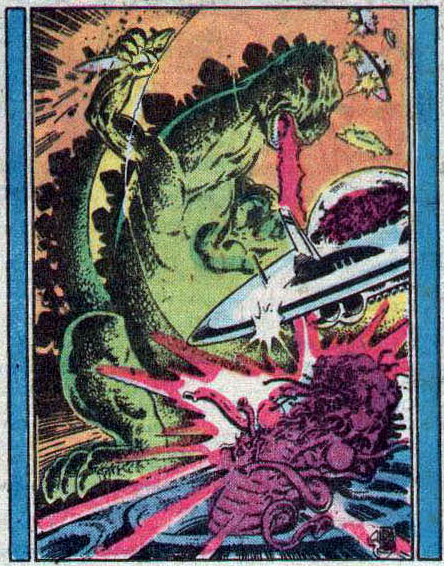 This issue of Godzilla features Godzilla encountering cowboys and dude ranches! That’s not what anyone expected at all. Also there is missing cattle, stampeded, and crooked land deals going on. 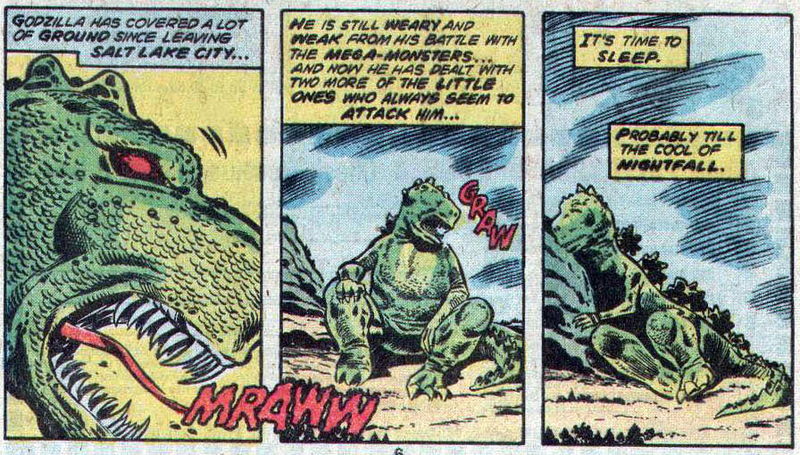 Will Godzilla be able to solve the mystery of whatever the heck is going on despite only being a semisentient giant mutant reptile? Of course! But next issue… First we got to set things up. Godzilla’s just got a hankering from some T-bone steaks! Godzilla wanders into an area where lots of cattle ranches are (and then takes an adorable nap!) 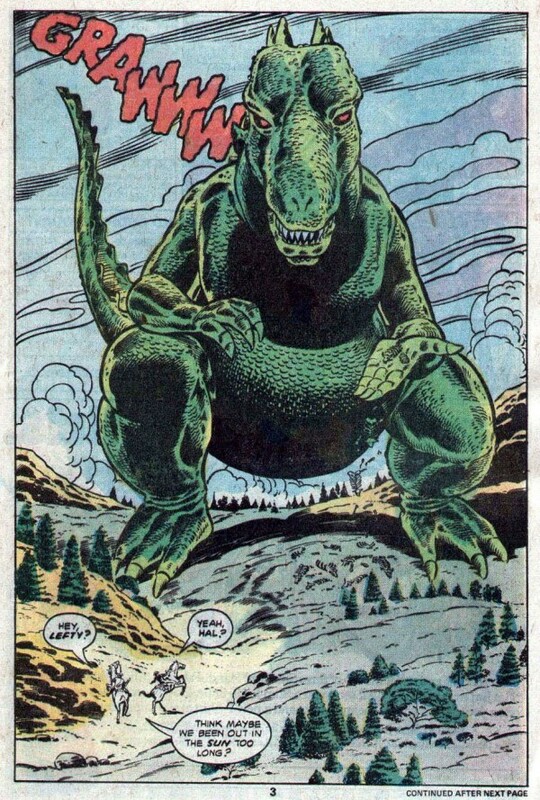 However, Godzilla gets blamed fro their recent rash of cattle disappearances and soon every ranch in the area is rustling riders to go rope themselves a dinosaur. 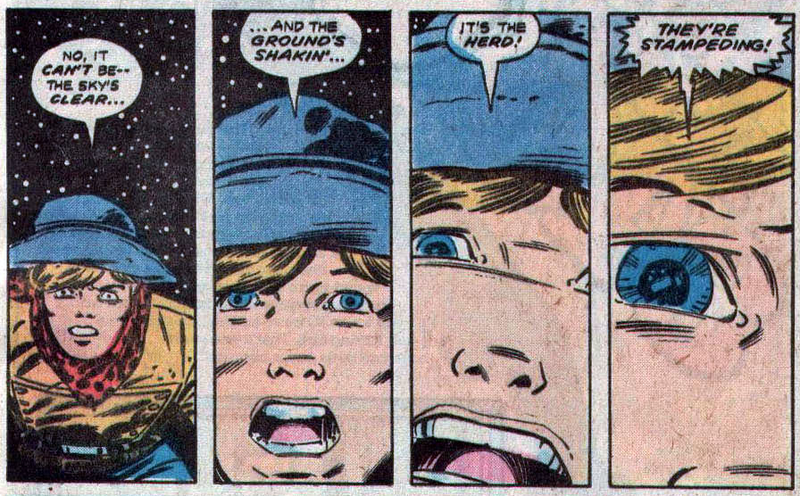 As you may have guessed, one of the lead instigators of the Godzilla Posse (henceforth called G-Posse) is involved in the actual stealing of the cattle. Oh, evil land barons, you don’t just exist in old western movies! 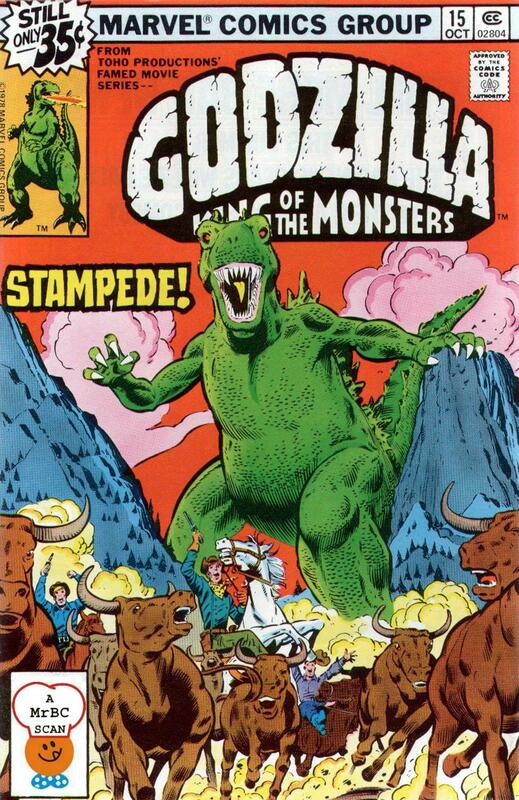 Godzilla then bumbles into a cattle herd, causing a stampede. STAMPEDE!!! The ranch hands stop the herd from diving off a cliff by blasting Godzilla’s tail with dynamite, then Godzilla follows some of the ranch hands and stomps a building as we are TO BE CONTINUED!! 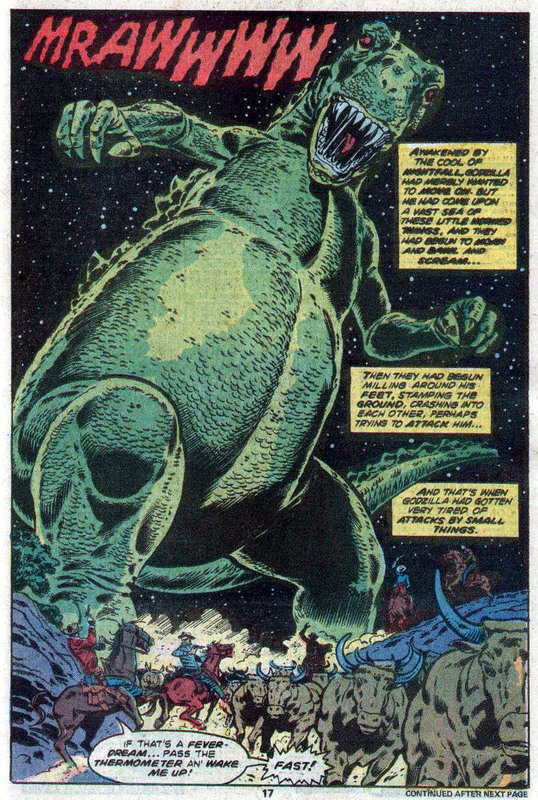 The rush to get the new issue of Godzilla! Somehow this one escaped being in my collection. Say what is your take on the upcoming Godzilla film? I liked that Monsters film that Gareth Edwards directed previously. Honestly, I think it might be good, but it will probably bomb at the box office regardless. I think Monsters was a bit dull, though it was cool what was accomplished with so little money. Edwards is already talking sequels before he even finished filming this one, which is not what I like to hear. Hopefully my fears will be unfounded and it will be pretty good and do well. I do think it will be much better than the prior American version!